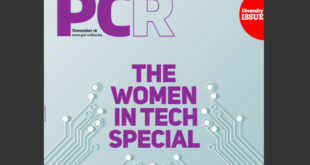 At the centre of PCR’s Women in Tech special issue, this feature is designed to shine the spotlight on some of the most inspirational, influential and impactful female execs working in the tech industry. A key part of the thinking behind putting this together was a desire to highlight achievements of the past year from women on all rungs of the corporate ladder. We wanted to highlight not only managing directors and CEOs, but also people making waves at the exec level who are relatively new to management roles, or even new to the channel. In order to formulate the list, we thought the fairest and most ‘real’ way of approaching this would be to ask our readers to put forward suggestions of women that have, in whatever capacity, done something great this year. We asked for stories of success, and you answered. 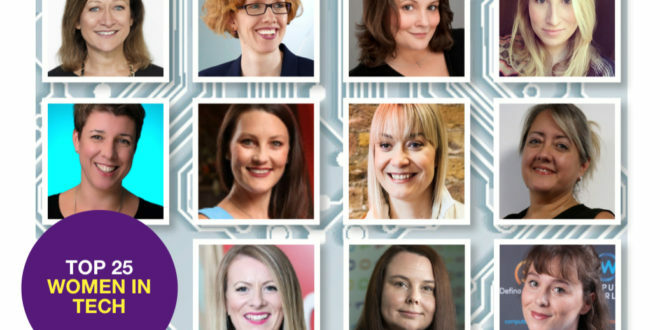 After an avalanche of emails, we’ve been through the information and whittled it down to these 25 women who have made an impact in the UK channel over the past year, as well as over their careers. Of course, we know this is not a scientific method, but the main spirit of the piece is to highlight the good work being done by women in an industry in which they find themselves a little outnumbered gender-wise, shall we say. The list features founders, CEOs, heads of departments and managers, all of which have done something awesome in last 12 months, whether that’s delivering growth for a business unit or company, a creative achievement, participation in a wider tech initiative or community project, or mentoring younger colleagues. Charlotte launched Google Jamboard into the UK market with a number of successful events, including Google Cloud Next 2018. Interacting with both end-users, resellers and distribution she ensures BenQ’s message is consistent and aligned while working closely with Google. As the only marcom person in the UK, she managed the launch as well as supporting the firm’s resellers and distributors for content, communications and events. In the past year Charlotte has also worked extensively on marketing BenQ’s corporate range of interactive flat panels to enterprises across the UK. Lucy was brought into her current role to deliver a global channel marketing strategy for BullGuard’s AV business. She built the channel marketing strategy from the ground up since the position’s inception, put in place a solid tiered partner program, and actively sought and recruited new partners. Additionally, she has worked on a raft of enablement tools and sales incentives to deliver partner growth and implemented a brand-new communications platform for the firm’s channel partners. As a result of the combined efforts of channel marketing and sales, the business has witnessed double digit growth year-on-year. Meghann started at Buy It Direct as an apprentice in June 2015. After learning the ropes with basic administration, she soon moved on to looking after some of the firm’s smaller categories, and recently was promoted into her current role. She now looks at the customer journey for the monitor category throughout the business, oversees the marketing strategy on the range and owns the full P and L. Her work on the website has resulted in ‘huge improvements in SEO and over double the amount of traffic in a short space of time’, while revenue for her category has over doubled in the last six months. Laura-Jane (known as LJ) has had a rapid rise to director of Business Development, and is seen as a driving force and true ambassador of women in tech within Centerprise International. After a BSc (Hons) at Brunel University, she’s had a career driving sales and ‘inspiring those around her and being a passionate advocate for those with a quiet voice’. This year LJ has positioned Centerprise within every Lot across two strategic Government Framework Agreements – the only company to achieve this, become a Finalist in the Women in Business Awards, led multiple STEM initiatives on Ci’s behalf, and much more. Megan joined ComputerWorld three years ago after leaving university. Over the last 12 months, she has taken responsibility for the firm’s marketing strategy. Working with her sales counterparts to deliver campaigns, she has planned two large scale events and delivered presentations covering Microsoft Teams functionality. Megan personally manages the firm’s corporate website, it’s Office 365 site, knowledge sharing blog ‘Define Tomorrow’, pay per click campaigns, event planning, logistics and marketing, vendor engagement as well as call scripts and sales enablement tools. She also volunteers as a VMware User Group leader. Dhara has pioneered a series of radio and press campaigns to launch new D-Link products this year, reaching nearly 4.5million national and regional listeners across the UK and featuring in over 20 publications. At the beginning of 2018, she was set the task of increasing B2B sales revenue by 15%. Proposing a strategic initiative which was a synergy of sales and marketing campaigns focused around increasing current revenue and on boarding new partnerships. Leading a team of six in the project, an increase of 8.5% YoY was achieved in the first six months. Dhara is also a keen fundraiser and organises company-wide initiatives. With 47 people in her department, Fiona is responsible for the marketing of a £3bn company that has over 350 brands in its portfolio, tasked with building a strong brand presence for the company and also for emerging brands in the consumer space. She has ensured that marketing has an influential presence in the boardroom in terms of company strategy. She recently led the team in running the Plug In To Exertis event, which had 106 vendors and over a 1,000 visitors attending. Respected by her peers, vendors and suppliers for her expertise and knowledge of the channel, Fiona is a strong advocate of diversity. 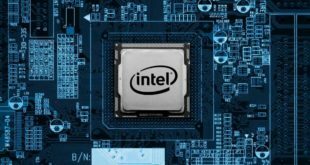 Rachel works closely with Intel’s key retailers and partners in the UK, and has a pivotal role in developing sales and marketing strategies to grow the firm’s PC business, collaborating with multiple stakeholders in order to ensure that the team around her is also a success. In the past year she created marketing collateral to support Optane product launches, executed a series of customer roadshows (which were ranked 4.9/5 by RSP’s and exceptional feedback from Customer Training Management), and handled deployment of Cloud Connected IPOS (Intel Point of Sales) in the UK market. Rachel is praised for her passion and can-do attitude. In her role as the director of Field Marketing, Sarah manages Ivanti’s marketing and SDR teams for UK, Ireland, Middle East, Africa and Eastern Europe, and also oversees Australia and New Zealand’s marketing and SDR operations. Sarah masterminded Ivanti’s ‘Women in Tech’ initiative that launched in September 2017 with the @TheTechieGirls Twitter platform, to promote diversity in the industry and within the organisation. The platform organically grew to over 700 followers in less than a year, and following that, Sarah went on to establish Ivanti’s Women in Tech blog, and has recently written Ivanti’s Women In Tech Report. Anjana has spent over 15 years in strategy, marketing, sales and operational roles, the last ten years of which have been at Lenovo. She is responsible for marketing across several countries, leading the development and growth of Lenovo’s consumer tech, including smartphones, laptops and AR. Recently she is credited with driving the global launch of the Lenovo IdeaPad Yoga, devising successful joint marketing programs with global alliance partners to position Lenovo products and boost sales, pioneering strong working practices with China Product Development teams, and implementing Lenovo’s Top Customer Loyalty Program. Tirene describes her role as one of the most diverse, interesting and professionally challenging marketing roles in the channel. Her responsibilities involve overall group strategy, creating discrete marketing programmes for partners, and delivering marketing support and services to group members. This year, her team embedded Terra Computer as a Preferred Partner within the Group. 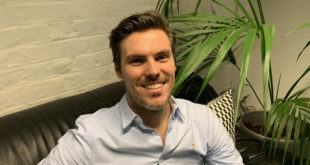 “Through our campaigns this year, Terra have become Continuum’s Server Partner with access to a vast network of MSP’s beyond the Group, and have grown their business within the Group by 300%,” says Tirene. Achieving global recognition within her organisation, Liza was awarded the Consumer Business Unit’s ‘Eagle’ award (for the team mate that ’kills it whilst flying under the radar’) for her strong commitment and teamwork ethic. This year she has implemented a successful digital marketing strategy that helped increase Norton’s online market share, rolled out a brand new retail/POS activation with a key partner across 50 of their UK stores, launched new digital media and PPC campaigns, and audited and overhauled richer content across multiple retail platforms. She has received seven other EMEA awards, including ‘most valued player’. Celine leads Tech Data’s Marketing Services team. Her department serves campaigns for over 6,500 resellers, 200+ vendors and the internal Tech Data business. She is praised for having stabilised her team and improved team morale within 12 months. Specifically, she reduced staff turnover through the creation of opportunities for further career development whilst supporting four members of the team into developing into more senior positions. She also increased ROI between Jan 2017 and Jan 2018 – her team delivered 959 campaigns which yielded an ‘estimated return of 15:1 ROI and contributed to almost £180m of revenue returned’. With over 20 years experience in IT marketing working for companies such as Siemens and BAE Systems, Marie joined data protection and recovery specialist Tectrade in February 2018. In six months, she has repositioned the organisation with a new proposition development, content generation and campaigns that have yielded great sales results for the firm. She has also overseen the launch of a new Tectrade website and has worked with the UK’s trade IT and channel media to hugely raise the company’s profile. She is the brains behind the company’s ‘Zero Day Recovery’ branding for its fast data recovery solution. Passionate about data security, Bridget was the previous head of information security at University College London and a security researcher at government DEFRA. Prior to this, Bridget gained a masters degree in physics and astrophysics from the University of Birmingham. Today, Bridget is the Global CISO at Thales eSecurity, which provides data security solutions and services. Bridget feels promoting the growing need for the UK cyber security sector to bridge the current skills gap could drive uptake of women in the IT security profession. A seasoned marcomms manager, Emma has been focusing on ways to leverage the TP-Link social media platforms to grow the digital footprint to increase brand awareness and generate demand for B2B and SOHO products. She has been instrumental in finding new and innovative ways of launching new products, such as the Archer C5400X – TP-Link’s first router developed specifically for the gaming market. To complement the traditional press and blogger outreach, Emma worked with an esports professional to live stream a Q&A on Twitch that focused on the importance of a solid network to the overall gaming experience. Gail Jones, co-founder and managing director of Manchester-based technology brand UKFast, has driven the firm to the £47 million turnover business it is today. Focused on innovation and efficiency, she works closely with the research and development team and spearheads the operations side of the business. Gail also leads the way in UKFast’s diversity and community projects which, in the past year, saw the firm pledge 5,000 volunteering hours, launch the Community and Education Awards and open six Raspberry Pi cafes to help improve digital skills in schools. Gail has strived to create an inherently inclusive environment for UKFast. In the last 18 months Wasp has been in a period of corporate transition, and as part of changes made Sonia was promoted to manage the team at Wasp UK. Under her stewardship in the last year, the division has handled new product launches into the channel and to direct customers, and is prepping its cloud software launches for Q4. “We had fantastic record-breaking sales in 2017 and 2018 is proving to be equally outstanding due to new product launches and a dramatic marketing approach to both the channel and direct business of the company,” says Sonia. WERKIN is an ‘LGBT+ female-founded tech company dedicated to helping companies manage, measure and scale diversity and inclusion programmes’. As well as being founder and CEO of the firm, Hayley is an Ambassador for LBWomen, and Sponsor of the inaugural Global Mentoring programme. In 2018 she was named We Are Tech Women’s Tech 50 Awards Champion, Silicon Republic Women Invent Top 100, Brummell Magazine’s Inspirational Women, a leading Queer Scientist and nominated as Inspirational Role Model at the DIVA Awards. Hayley is also a longtime mentor. Maggie is founder and MD of Zaboura, a boutique communications agency representing big brands such as Kingston. This year the firm has snapped up Netgear as a client. Maggie says: “We are proud to say that we are delivering campaigns that are being implemented through every customer touchpoint from social, to creative, to influencer marketing. We won new clients like Netgear and others from the clutches of ‘Goliath’ agencies because of our 360 campaign approach, which are now being deployed and adopted globally because we focus on KPIs and delivering value. In times of budget cuts and austerity, brands are choosing the ‘Davids’ to deliver. 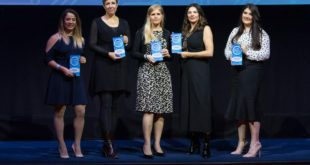 PCR’s Top Women in Tech: Last chance to submit your entry!